It’s not even a wink-wink, non-nod, when President Vladimir V. Putin decides to Stalinize Russia by passing outright legislation that would prohibit speaking out against the government or any of its officials. This is the difference in all-out communism, as Chairman Xi is doing in China with his not-so-subtle version of Maoism, and the socialism (communism light) that some want to bring to America. The Russian revolution of 1917 led from one form of tyranny (Tsar Nicholas II) to another (Lenin and the Bolsheviks), and was a violent bloodbath. Any current Russian uprising will be dismantled without a shot fired and sealed by the stroke of a pen. Remember fellow travelers, follow the money trail. When an economy is good, the proletariat is less apt to bring pressure on the current ruling body. Putin is attempting to head-off any antagonism as a result of Russia’s prolonged economic stagnation. It doesn’t take one long to rehash the poverty of the Russian people suppressed by post-Leninist communism in the new Soviet Union. And you thought economics was boring. This latest legislation is a continuation of Russia’s journey toward ultimate suppression, culminating in a nearly two-decade-long project by President Putin to put information flow under state control. This is usually phase II of totalitarian rule. Suppress free speech. Do you remember the Pol Pot, Castro, (fill in your favorite revolutionary) regimes? Well, you know that the first thing done is to disarm the public. Putin inherited this second amendment from the previously mentioned 1917 revolution, where the authorities had restricted the right to carry firearms. Sadly for the Russian people, this never turns out well. The economic revolutions of today are not in need of firearms, as words have replaced the prior necessity of violence. 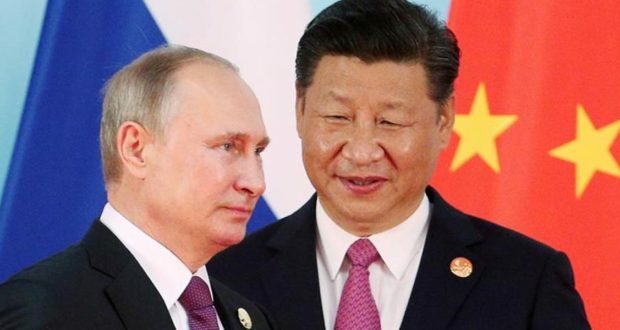 There is little doubt that Russia, or for that matter China, will have to put up much of a fight (physical) to bring the masses under control. The Russian economy is not stable, and it is not large on the world stage. Thus, at some point a challenge will come. You have seen the horrific ending played out in modern Venezuela. The Marxist economies that support the ground in Russia and China are built on quicksand that cannot last. It never has. Yet you see the quislings on the American left racing down this pathetic road as fast as they can, spurting their polemic economic ignorance for all to see. The lifeline to the free world, the internet, eludes the likes of North Korea, and if the Kremlin has its way, Russia as well. The government has made total censorship a main goal, and is working feverishly to create its own 1984 internet. Lastly, the fifth column, who trip over each other to laud the next socialist dictator, will also be some of the first to go in this new utopia they so desire. John Patrick Thomas is a four-time cancer survivor who lives with his family in South Florida. John attended Gettysburg College and The American University before embarking on an entrepreneurial career on Wall Street. He turned to the teaching profession after his life-threatening bout with bone cancer. John has recently written a #1 Amazon Cancer Bestselling book entitled, “A Call to Faith, the Journey of a Cancer Survivor.” He has appeared in publications such as The New York Times, The Wall St. Journal, The Washington Post, Memorial Sloan-Kettering Cancer Center publications, and was featured in new DayStar network series, “Impact with Pastor Dave.” He has traveled as a missionary and may be one of the few people that tell you cancer was the best thing to ever happen to him. You’ll have to ask him why. HORIST: Is Trump in trouble?